FINNEGAN is a neutered All American Dog. Possibly a mix of Pointer mix. He weighs about 60lbs. He is crate trained, house broken, vaccinated and micro-chipped. A little shy at first, he quickly becomes very playful. He is in a pack with males. He is untested with children. Home should not have small animals (cats, rabbits, etc) We do require a home check. We allow the dog to stay with you for a week to give both you and the dog a chance to really get to know each other. If, during that time, you find it is not a match we will return you adoption fee of $100, and take the dog back. Should you decide to adopt FINNEGAN, we offer a free crate for him. We also offer training advice to help FINNEGAN get accustomed to his new surroundings. 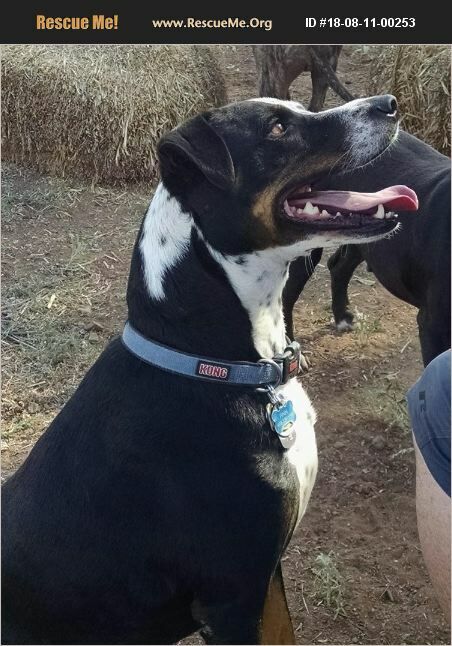 If you would like to know more about FINNEGAN, or see more pictures of him, please contact us at ravenpinesdogrescue@gmail.com or call 602.339.1797. Thanks for considering adoption!